Haringey Law Centre is a charity that opened in 1976 with a mission to make a positive impact to people’s lives – particularly the most vulnerable and socially excluded. We do this by providing free and independent legal advice and representation to people living, working and studying in the London Borough of Haringey and surrounding areas. We are a member of the Law Centres Network. Haringey Law Centre’s solicitors, caseworkers and volunteers aim to provide and deliver free and independent legal advice, assistance and representation in housing, debt, welfare benefits, asylum, immigration and employment law matters. Due to funding cuts, the centre is currently only open on weekdays between 11am and 5pm. However, on these days and times, people can drop in to see us without an appointment. When they arrive, we will conduct an initial assessment of their case to find out whether the Law Centre will be able to help them. If we are able to help, we will book people in for a more in-depth appointment with one of our solicitors, caseworkers or volunteer lawyers. Haringey Law Centre’s charity registration number is 274760. Haringey Law Centre is also a company limited by guarantee. Our company limited by guarantee number is 1332867. Haringey Law Centre is a membership organisation. People can apply to become members and get involved in the life of the Law Centre. We also have a management committee made up of members who have been elected volunteer trustees. Trustees are elected/reelected at Haringey Law Centre’s annual general meeting and meet as Haringey Law centre’s management committee around six times a year. Trustees on the management committee set the Law Centre’s strategic direction and hold Law Centre staff accountable for legal and financial decisions they make. Trustees on the management committee are also required to ensure that the Law Centre’s accounts are independently audited filed with the Charities Commission by the end of each financial year. Unfortunately, Haringey Law Centre lost our local authority funding in April 2016 but we took the decision to try and stay open and continue to try and serve local people who need us. Between April 2016 and December 2016, some of our former staff stayed on with the Law Centre as volunteers and received no pay. Since then, we have been actively working to raise new funds in order to ensure that Haringey Law Centre not only survives but begins to thrive. In December 2016, we received a grant from the City of London Solicitors’ Company to fund debt advice at the Law Centre two days a week for three years. In January 2017, we obtained a grant from the AB Trust to support the organisation’s capacity building work and housing advice work. In February 2017, Debevoise and Plimpton LLP kindly provided us with funding to provide training to Debevoise and Plimpton lawyers who volunteer with Haringey Law Centre’s dedicated disability benefits appeals project. In March 2017, we were awarded a grant from the London Legal Support Trust to help the Law Centre set up a formal volunteer programme. In May 2017, our application to the Northumberland Park Partnership Board (NPPB) was successful. The one year NPPB grant enabled us to begin delivering weekly pop-up advice services for Northumberland Park ward residents and community legal training sessions for groups and organisations who work with residents of Northumberland Park ward. We began delivering the sessions in September 2017. 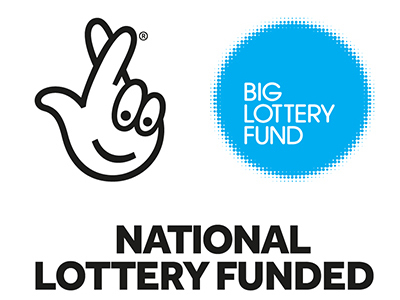 In June 2017, we were grateful to receive a grant from the Big Lottery’s ‘Awards for All‘ fund to enable us to significantly upgrade the Centre’s IT (including this website), begin to provide a telephone advice line and run a targeted community publicity campaign. In July 2017, Garden Court Chambers sent us a donation from its Special Fund to enable us to raise awareness of our services. We are extremely grateful to everyone at the Chambers. In July 2018, HLC received a two-year grant from Trust For London to deliver a welfare/benefits research & campaign work two days a week as well as a representation service. We are grateful to the TFL fund. In October 2018, HLC is grateful to the London Borough of Haringey for supporting funds to assist with the homelessness matter for six months and then for a further two years. Haringey Law Centre is keen to form partnerships with other organisations in order to help provide more services for residents in Haringey and enable us to return to opening the Law Centre 5 days a week. Please do get in touch if you would be interested in joining the City of London Solicitors, AB Trust, London Legal Support Trust, Debevoise and Plimpton LLP, The London Legal Support Trust, the Northumberland Park Partnership Board, The Big Lottery and Garden Court Chambers in supporting our work. company limited by guarantee number 1332867.